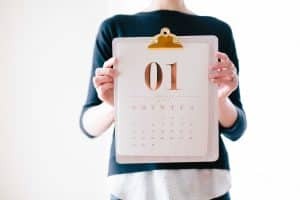 One thing that can be confusing as you are scheduling your business’s social media posts is this: Is it better to be PLANNED OUT, or be more SPONTANEOUS? On one hand, plenty of people will say it’s best to plan out your whole month (or even 6 months!) of social media posts. On the other hand, isn’t it important to be personal and in the moment? During my years managing social media, I have found myself on both sides of the spectrum. At one point, I was so loosey-goosey and unplanned that I found myself with a constant level of low-grade stress. I would wake up every morning without a plan for what I was going to post for the business that day. 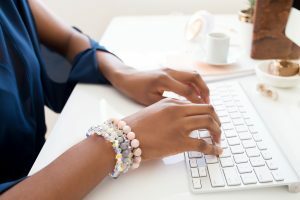 When I should have been enjoying breakfast with my kids, I found myself scouring the internet for articles to link to, or photos to use that day. Maybe it was my years as an expert-level procrastinator coming home to roost, but this was how I always found myself. Not only did this create daily tension in my morning, but I also think that most of my posts were sub-par, The only saving grace was that this was in the day when Facebook just magically served your posts to people anyway, hah! Verdict #1: Being unplanned and unscheduled with my social media – I didn’t like it. I’ve also been on the other extreme. Once I was part of a larger team, posts and marketing HAD to be planned out. This is a good thing! We always had at least a month of posts and ideas planned. This allowed us to know what was going on, and also gave us the time to create some really great content. However, being so rigidly planned, and not allowing for the in-the-moment interaction and spur of the moment posts when they come up – this also is not good. Verdict #2: Being so rigidly planned that you are not flexible – Also not good. The secret sauce lies somewhere in the middle. Plan out a social media calendar for a month at a time. Make assignments for you team (if you have one) and also for yourself. Here’s where you specifically lay out what needs to happen for each post and who’s doing what. Schedule your posts on your social platform of choice. 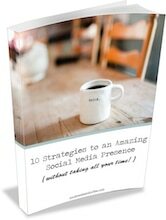 Planning social media posts for your business has a bunch of great benefits. It allows you the time needed to create great content. If you need to do a photoshoot, create a video, make graphics, etc. – there is now time to do this. It also allows your content to kind of “marinate.” I don’t know about you, but I will always create a better post when I can think about it for a minute! Overall, you will have a higher quality of content if you plan it out a bit. AND – you won’t have the low-grade stress of daily not knowing what to post! As you are going through the month, pay attention to what is working and what is not. If people are not engaging with a certain type of post, change it up. Don’t get stuck in the rut of, “It’s on my social media calendar, so I MUST keep posting this.” You’re the boss of your social media calendar! If it’s not working, cut it and do something different. Also, pay attention to realtime things going on in the world. Is there a current event that demands your attention? Post about it. Did Brad Pitt just walk into your store. By all means, post about it! Don’t stay a slave to your calendar, post about what’s interesting RIGHT NOW in your business or life, if it fits your page. Being flexible and responding to your audience is how they know that there’s a real person behind your business. 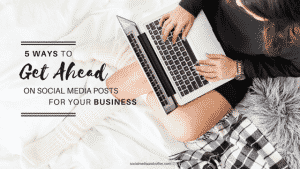 The whole point of social media is to be personal and engage, so make sure that side of your business doesn’t suffer simply because you planned out your posts. This is what I now do. I plan out a month of posts, schedule things ahead, and be flexible in the moment. 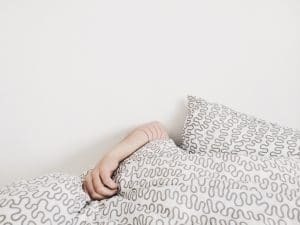 I ALWAYS make sure that at the very least, my posts for the next day are good to go (no more morning stress, and more having breakfast with my kiddos!). And then I am ready to change any of it up at a moment’s notice. What about you? 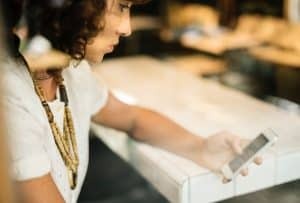 Is this what you do with your business’s social media posts? 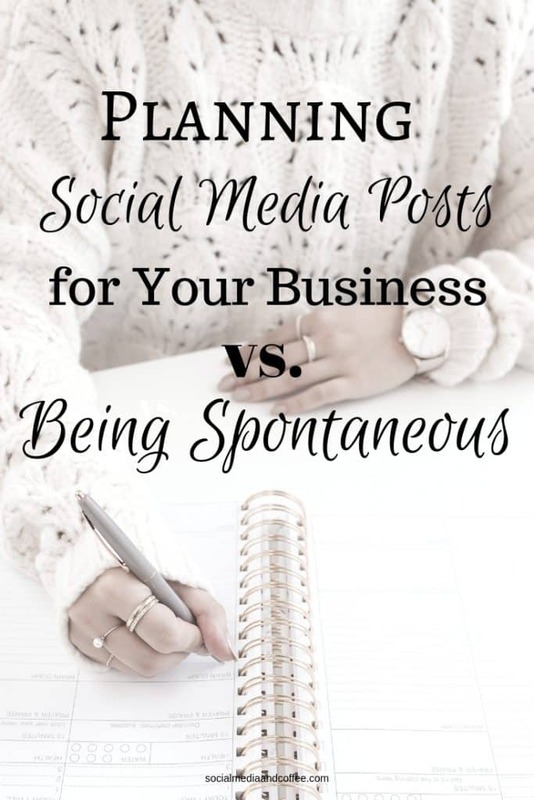 Want to remember this Planning Social Media Posts for your Business vs. Being Spontaneous article? Save it to your favorite Pinterest board!